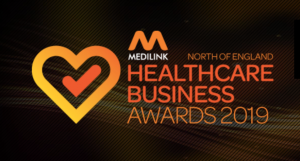 It has been a fantastic start to the week for NeedleSmart as we have been shortlisted for the Medilink North of England Healthcare Awards in the category of ‘Start Up’. The awards celebrate successes spanning the whole of the Northern Powerhouse and will see industry, academia and the NHS come together to celebrate the achievements of health sector organisations from across the North of England. The Northern Powerhouse is an ambition to bring together the great cities, towns and rural communities of the North of England and Wales to become a powerhouse for our economy. The prestigious awards ceremony is in association with Insider and will be held this year in Leeds at the Hilton Hotel in the City Centre. The evening will consist of a black-tie dinner and will be a showcase for the Northern Powerhouse, an industry that is vital to the health and wellbeing of the region. NeedleSmart have been shortlisted in the category of ‘Start Up’ for their globally unique product range that destroys contaminated medical sharp waste at the point of use enabling a safer working environment, direct cost saving and potential to create sustainable recycling. The award ceremony is a chance to demonstrate the capabilities, innovation and commercial successes of the North’s healthcare organisations. The evening will also be a great opportunity for NeedleSmart to make new contacts as well as raise our profile in the North and further afield. CEO of NeedleSmart, Cliff Kirby, and the whole of the NeedleSmart team are thrilled to have been shortlisted for the start up award and look forward to the exciting award ceremony next week which is set to be a fantastic evening! To learn more about NeedleSmart and our products, visit http://www.needlesmart.com or call 03301244360 to speak to a member of the team.